SOMA is a game that caught me by surprise. Being an avid fan of Frictional Games' previous work, Amnesia: The Dark Descent, I was expecting more of the same from SOMA, just in a new horrifying environment. While SOMA does come off as the "spiritual successor" to Amnesia, it still manages to stand out on its own courtesy of a more focused plot than Frictional Games' past titles. SOMA is a game of many mysteries that unravel in unexpected ways. Simon Jarret, the game's protagonist, is stranded in a sub-oceanic research facility, diligently searching for answers about his current predicament as well as desperately searching for a way to escape it. I found the game's story to be interesting in a few different ways. The plot wrestles with a handful of mature themes and asks the player real-world questions in pretty clever ways. Throughout the 10 hour story, Simon meets robots who genuinely believe they are humans because they are running copies of a human's brain for their AI. A few times throughout the game you are put in positions where you have to unplug these robots in order to progress. During conversations with them it becomes apparent that the emotions they portray aren't artificial, even if their physical bodies are. They show variety of different emotions from humor to anger and regret. Is it moral to unplug these robots? Are they even robots? What makes someone a human being? These philosophical questions and others are frequently asked throughout the game. To compliment the emotional story is a nerve-wrecking setting that has you venturing through the creepy research facility. Each area you visit gives off an eerie feeling that kept me on the edge of my seat constantly. Environments are filled with bloody corridors, strange sounds. And if you're "lucky", you'll come across one of the game's blood-curdling monsters. I found that SOMA tends to be more frightening because of the sinister sounds you hear rather than the horrors you actually witness. Those moments where I was exploring the facility while being forced listen to blood spilling on the floor next to me, hearing weird noises from outside rooms, or swearing I heard someone walking behind me were some of the most petrifying parts in the game. The sense of hopelessness and solitude the game forces on the player is only amplified by the inability to fight your enemies. Simon doesn't obtain weapons, experience or anything of the sort. Instead you only have two means of survival: hide or flee. If a monster spots you, it will immediately chase you and kill you. Hiding around the environment until you're safe to progress is usually the type of encounter you will have with the monsters. I found the overall stealth portion of the game to be underwhelming. SOMA allows you to interact with most things in the environment. You can pick up things off a table or desk and carry it around, drop it and even throw it. The issue is that it isn't implemented in any way when it comes to stealth. You can't distract your enemies by throwing something on the ground, or making any type of noise with your environment. Instead SOMA just wants you to keep hiding around corners for a few minutes until the monster loses interest. Graphically, SOMA looks fantastic. The dark tone of the game is shown really well and environments are diverse and well designed. Voice acting was especially impressive to me because of the lack of it in Frictional's previous games. Simon narrates frequently in the game and I found it easy to connect with him. Other voice actors are a nice change of pace. They are surprisingly comforting it their own ways. Despite its shortcomings, this game does something other games in the genre struggle to do. 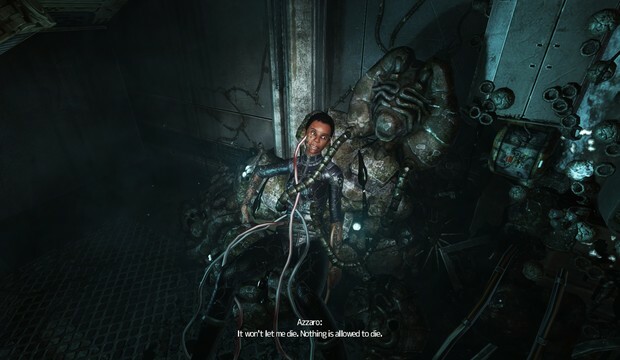 SOMA gives us an interesting setting to explore, terrifying, unforgettable moments, and a deep thought-provoking plot that asks its players philosophical questions that linger long after the credits roll. Tales of Berseria is an excellent game despite its flaws. The cast of characters shine in their own right and are easily some of the most memorable in the series and the combat additions coupled with the engaging plot makes this a game every JRPG fan should play. The Evil Within is a game that the survival horror genre desperately needed. Recent horror games have seem to forgotten simple mechanics that makes the genre so unique. The Evil Within is the perfect example of the old cliche "If it ain't broke, don't fix it". Shinji Mikami and Tango Gameworks does just that. Even with a plot that never meets its potential, the beautifully designed enemies, superb gameplay and terrifying environments all come together to give horror fans a fascinating, memorable experience. It's sad to see the Zero Escape series come to an end, but Kotaro Uchikoshi and his team have created a special trilogy of games that won't soon be forgotten. Zero Time Dilemma, despite its flaws, concludes this series in a dramatic and memorable fashion.